Tony qualified from Newcastle University in 1991. In 1994, Tony and his wife Marina went into partnership to buy a dental practice at 59 Austhorpe Road. In 2000, they moved Church View Dental Care to its current location. They have continued to improve and expand the practice, which now has six dedicated treatment rooms. Tony has a keen interest in advanced restorative dentistry including cosmetic treatments (crowns, bridges and veneers) having completed a one year advanced restorative course in Manchester. He has been placing and restoring implants since 2006 following two years of training with the Royal College of Surgeons and in Frankfurt and Tubingen in Germany. Tony has attended facial aesthetics courses on Harley Street, London, held by leading teachers in this field. He is a member of the ADI, BACD, SAAD and BDA. Away from dentistry, Tony enjoys coaching cricket, cycling and supports Leeds Carnegie. He is also a keen runner, one of his achievements being the completion of the Great North Run. 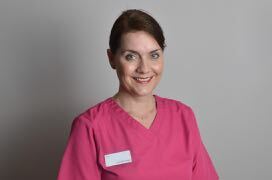 Marina qualified from Newcastle University in 1991 and has a keen interest in cosmetic dentistry. Marina completed a one year advanced restorative course in 2005 and further developed her skills completing a Minimal Invasive Aesthetic Dentistry Course (Mini Smile Makeover) in 2018 and she is currently working towards the MJDF (Membership of Joint Dental Faculty) diploma. Away from dentistry Marina is kept busy with her three grown up children and is a volunteer Community First Responder with the Yorkshire Ambulance Service. Marina is a keen runner, she is a member of a local running club, so you may see her regularly competing in local races. Marina has completed the Great North Run many times and both London and Edinburgh Marathons. After graduating from Newcastle in 2000, Marcus began work in general dental practice initially in Castleford. He joined Church View Dental Care in 2003. Marcus has been a life long supporter of Leeds Rhinos, following the team home and away through good times and bad! Marcus keeps active by playing five-a-side football and looking after his children Joel and Ava. Paul qualified in Newcastle in 1998. 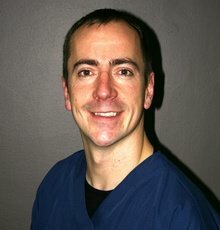 He has always kept up to date with the latest techniques in dentistry and in 2007, completed a year long course in Advanced Restorative Dentistry with leading UK dentist Paul Tipton . He has a special interest in cosmetic dentistry and endodontics (root fillings). He is a certified Invisalign Practitioner and having completed orthodontic training also uses traditional braces to straighten teeth. Paul has also completed implant training in Harley Street. When he is not working Paul enjoys playing football, triathlon training and eating out. Katie qualified from Birmingham in 2011 and joined the practice in 2014. 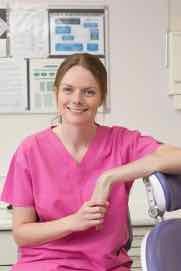 Katie completed her MJDF qualification in 2012 and has recently completed a 2 year postgraduate diploma in restorative dentistry with the FGDP(UK) which allows her to complete some more advanced cases. She takes pride in putting patients at ease and enjoys all general and cosmetic dentistry. Outside of dentistry, Katie enjoys walking, travelling and takes an interest in photography. Lisa qualified as a dental hygienist in 2000. 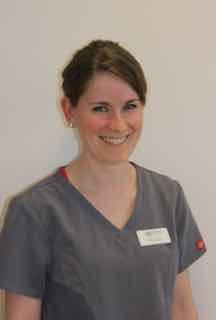 Carrie qualified from Leeds Dental Institute in 2010 and joined the practice in 2012. She is enthusiastic about educating her patients in their oral health and has a gentle yet thorough approach. Carrie’s spare time is generally focused around family but she does enjoy attending music gigs and socialising with friends. Lisa qualified in 1998, she is our longest serving member of the team having joined the practice in 1996. Emma joined the team at Church View Dental Care in 2018 as Practice Manager. Emma has a dental background and qualified as a dental care professional in 2012. Emma is currently studying towards her qualification in Healthcare Management. Away from work Emma is Mum to Arabella and enjoys family time, camping and is a keen runner. Dawn joined the practice in 2005 and has been meeting and greeting all our patients at reception since then. Away from her reception duties Dawn enjoys socialising and you will often find her out and about on the back of a Lambretta with partner Trevor. Charlotte has been a member of the team at Church View Dental Care since 2006 initially as a dental nurse following a short career break during which time she became mum to Harper, Charlotte now works part time on reception. Rachael joined us in 2018 as part of our reception team. In her spare time you will find her at the side of the football pitch supporting her children Sam and Millie. Racheal also enjoys taking her Dalmatian, Roxy, for lots of long walks.